We have studied properties of Natural numbers, Whole Numbers, Integers, fractions, irrational number such as and . We have also studied that every non zero number has a negative number associated with it such that their sum is zero. 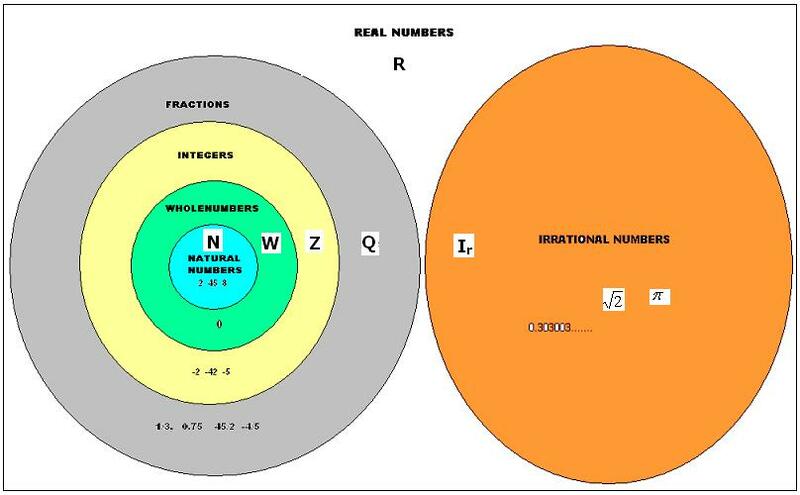 The combined set of rational numbers and irrational numbers is called ‘real number’ and is denoted by R. Note that a number can be either a rational number or an irrational number and it can not be both. Verification: By substituting value of x =8,9 notice that the the given statement is satisfied. This relationship is called Euclid's Division Lemma. We have learnt in earlier class finding of HCF by factorisation method and division method. Using Euclid's division lemma, we can also find HCF. In this method, starting with small number as first divisor, we successively divide divisor of each step by reminder of that step till reminder becomes zero, Then the last divisor is HCF. 1.6 Problem 3: The length and breadth of a rectangular field is 110m and 30m respectively. Calculate the length of the longest rod which can measure the length and breadth of the field exactly. With a rod of length of 10M, we can measure the length and breadth of the field exactly. Thus, every composite number can be expressed as product of primes in a unique way ignoring the order of the terms. This us called fundamental theorem of arithmetic. p has to be one among p1,p2,p3, … ,pn . pb2= a2=( p1*p2*p3* … *pn)2 where p1,p2,p3, … ,pn are prime factors of a. In the earlier step we have concluded that p is a factor a. now we are concluding that p is a factor of b also. This means p divides both a and b which is a contradiction as we have said earlier that a/b is in simplest form. 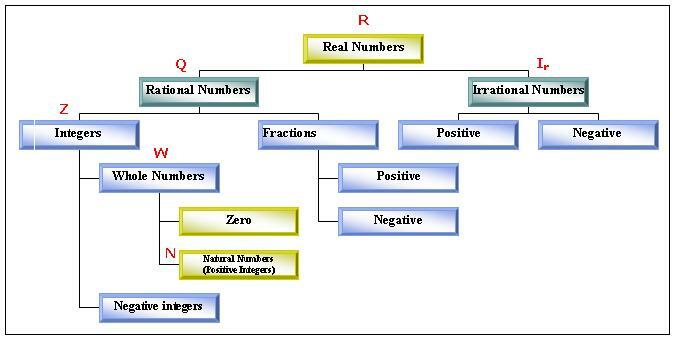 Relationship between real numbers and other types of numbers.